When I passed by it was still a work in progress attracting curious attention. 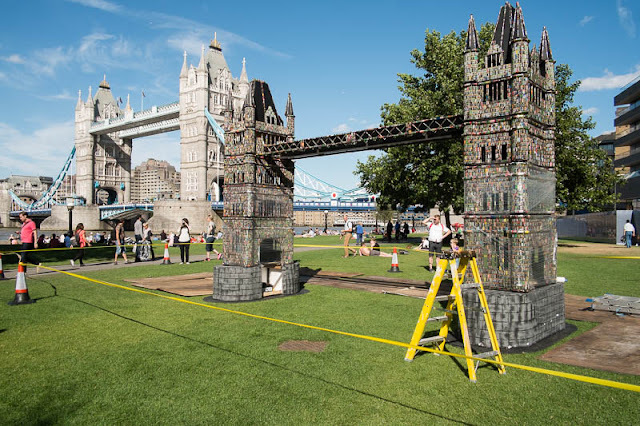 It is a replica Tower Bridge made from 83,000 recycled batteries. Now that is some publicity stunt don't you agree? That's a pretty darn good replica too! Thew attention to detail in this is incredible. Well done. Yes if it is not permanent !